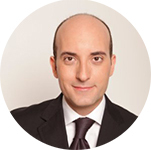 Giuliano Gasparini, CRE, FRICS, is Senior Vice President – Asset Management & Acquisitions, Hotels & Leisure at ALDAR Properties PJSC, the largest publicly traded development and management company in Abu Dhabi, United Arab Emirates. A native of Italy, “GG” (as he is known to friends and CRE colleagues) has extensive experience counseling on hospitality real estate projects throughout Europe, North Africa and the Middle East. In addition to traditional asset management, including analyzing hotel operations, renegotiating contracts and centralizing purchasing to increase efficiency and value across the hospitality portfolio, he works with Aldar’s team of architects and engineers to identify unique concepts for developing new hotel properties and their surrounding residential communities. An example of a property in GG’s portfolio is the 5-star luxury Yas Viceroy Hotel developed by Aldar. Racecars compete on the nearby track, the site of the Abu Dhabi Grand Prix, and actually race under the hotel itself. 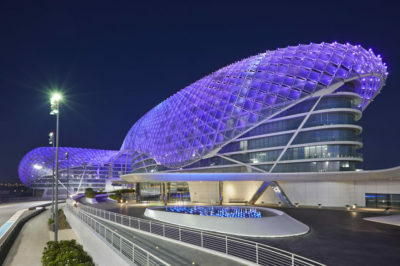 The hotel is on Aldar’s Yas Island, which includes attractions such as Ferrari World theme park; Yas Mall, the largest shopping venue in Abu Dhabi (featuring more than 400 international brands); the Yas Links Golf Club; and Yas Marina, home to yachts, restaurants and world-class concerts. Backstory: GG received an undergraduate degree in Economics and a Master’s degree in Tourism Economics from Universita Commerciale Lulgi Bocconi in Milan, Italy. He developed a passion for hospitality and real estate during his college years, and subsequently received an M.S. in Urban and Metropolitan Management/Urban Economics from Erasmus Universiteit in Rotterdam, Netherlands. He completed the Hotel Real Estate Investment & Asset Management real estate program at Cornell University. Since 2001, GG has served as a college professor, teaching real estate courses in Italy, Spain and Dubai; and was a hotel real estate consultant for KPMG in Hungary, for HVS and KLL in Spain, and for PKF Dubai. Key Insight: “Every Counselor I’ve interacted with is a true professional and an even better person. You don’t find that in other organizations,” GG notes. He is The Counselors’ first member in the UAE. “It is a great honor, but also a great responsibility. I don’t want to be the only Counselor in Abu Dhabi forever,” he says. “I’m already thinking about experienced professionals in this part of the world who may be good future candidates for CRE membership.” GG plans to attend the CRE Annual Convention in Montreal this September to meet more of his CRE colleagues from around the world.